James Wesley “Jim” Leibering, age 62, of Huntingburg, passed away on Saturday, October 27, 2018, at Deaconess Gateway Hospital in Newburgh. He was born May 15, 1956, in Huntingburg, Indiana to Wesley and Madonna (Hubert) Leibering; and married Debora Carpenter on February 14, 1986, at Salem United Church of Christ in Huntingburg. Jim worked as a Maintenance Supervisor for Kimball National Office Furniture. He was a member of the Huntingburg Volunteer Fire Department for 38 years where he was a firefighter E.M.T. ; a member of the Y.M.I. Club; and a member of the Dubois County Leukemia Association. He is survived by his wife, Debora “Deb” Leibering of Huntingburg, Ind. ; three children, Michael J. (Renee) Leibering of Huntingburg, Ind., Breanne L. (John) Wyman of Purcellville, Virginia, and Ryan Leibering of Bloomington, Ind. ; his parents, Wesley and Madonna Leibering of Huntingburg, Ind. ; two siblings, Sharon Leibering of Huntingburg, Ind. and Tom Leibering of Kendall Park, New Jersey; five grandchildren, Isabella Leibering, Gabriella Leibering, Tobias Wyman, Sawyer Wyman and Emerson Wyman; and by nieces and nephews. Funeral services for Jim Leibering will be held at 10:00 a.m., E.D.T., on Friday, November 2, 2018, at the Nass & Son Funeral Home in Huntingburg. 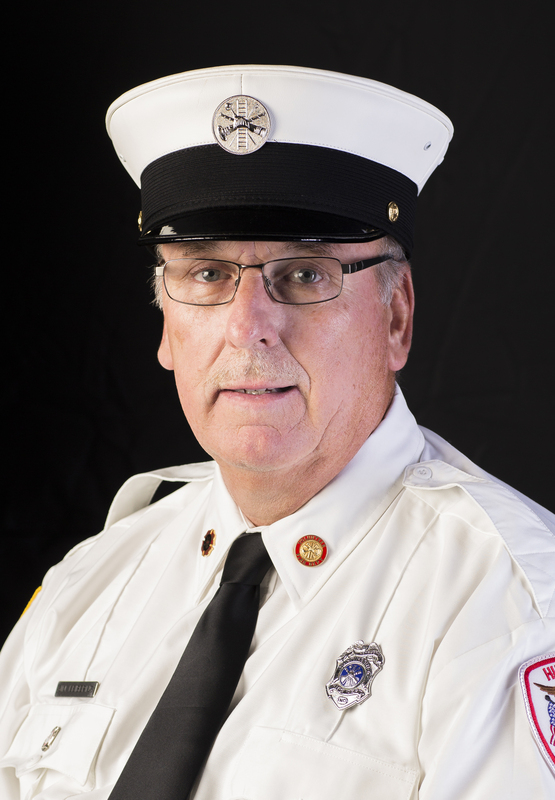 Burial will follow at Fairmount Cemetery in Huntingburg with a firemen’s graveside tribute. Denny Spinner will officiate at the funeral service. Friends may call for visitation at the Nass & Son Funeral Home in Huntingburg from 2:00-8:00 p.m., on Thursday, November 1st. A Volunteer Firefighter’s vigil will be held at 7:00 p.m., Thursday, at the funeral home. Memorial contributions can be made to the Indiana Donor Network Foundation or the Dubois County Leukemia Association.